Three Good Rats: "This above all : to thine own self be true"
Three sisters, Rosalind, Bianca, and Cordelia, are all having crises. Rose is engaged to a fantastic guy who has been offered a once-in-a-lifetime opportunity in England, but Rose is firmly committed to staying in her hometown. Bianca - known as Bean to her family - is a polished, high-maintenance city woman who has just been fired for stealing money from her employer. Cordelia, the youngest and an aimless drifter, is pregnant. 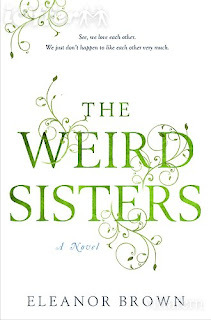 When their mother is diagnosed with breast cancer the sisters find themselves, for the first time in a very long time, together again in their parents' house. Here the women all must come to grips with their problems and fears, while navigating the treacherous waters of family relationships. Although the plot revolves around the mother having breast cancer, the story isn't overwhelmed by that. (Which is good because I've lived it, and I am so done with mothers having breast cancer.) But it was an effective way for the family to be brought back together, and of course this sort of crisis brings out the worst, and best, in everyone. Both parents played roles somewhat in the background - still important, but the focus was on their daughters. 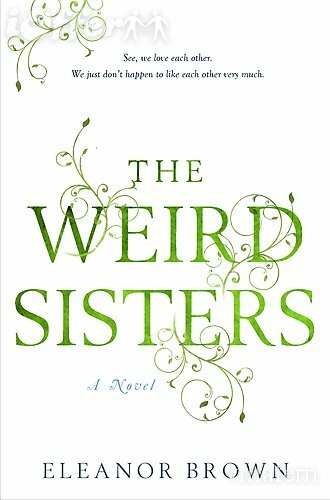 Told in first person plural, the sisters are collectively referred to as "we," but each sister individually in the third person. Somehow it works. Their father is a Shakespeare scholar so in addition to the women all being named after Shakespeare characters, the entire family communicates through the Bard's quotes. Although this could easily be annoying at the hands of a lesser writer, here it just improves upon the already well-crafted story. It's hard to say what exactly I liked so much about this novel. The characters certainly, and the relationships between them. I liked the style of the writing, straightforward and poetic at the same time, and the quiet feel of the atmosphere amid such chaos. Somehow everything just came together very well and it is a mighty beautiful thing. I liked it a whole lot, but I think someone who really enjoys Shakespeare (which I do not) would like it that much more.